Iowa Australian Cattle Dog Rescue View other Australian Cattle Dogs for adoption. This handsome Texas rescue is Bob. He is Extremely friendly, about 2 yrs old. He hasn't met anyone he doesn't like and he gets along great with other dogs. He does seem have springs in his feet. Loves to go for a walk, but needs work...Lots of jumping and spinning means he puts on twice the miles as you would on a walk. He is a perfect size if you don't have a huge space. He is only 38 lbs. He is housebroken, current on all shots, heartworm negative, neutered and current on all of his preventatives such as heartguard and Frontline. 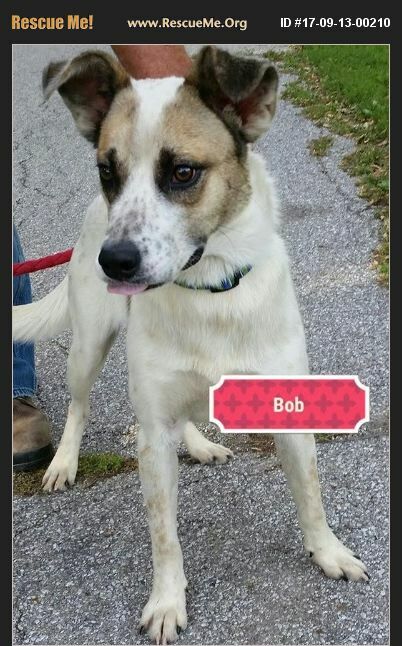 Bob's adoption fee is $200.00. If you are looking for a small/medium dog that isn't a puppy but still has lots of energy - Bob might be the right dog for you. Our adoption application is located on our website at www.patriotsforpets.com and we encourage you to fill that out and then come visit.